This 2018 Louisville Slugger Select 718 BBCOR does deserve time in the spotlight. If there’s one hallowed brand in the baseball bat industry, it’s the Louisville Slugger. So the folks in that company are quite particular about what kinds of bats bear their brand, as they’d rather not sully their reputation with an inferior model. It’s true that Louisville Slugger actually offers 4 new bats for 2018 including the Prime 918. But a lot of attention has been focused on this Select 718. That’s because this is like the ultimate power hitter’s bat. In the whole Louisville Slugger lineup of baseball bats for 2018, this is the most end-loaded bat of them all. Consider that for a moment, if you will. Power hitters often go for end-loaded bats, because this configuration suits their hitting style. That this is the most endloaded bat that Louisville Slugger can offer says a lot about what this can do for you if you’re a power hitter. There are 4 different models for the LS Select 718, but for most people the most important of them is the 2018 Louisville Slugger Select 718 BBCOR Baseball Bat: WTLBBS718B3. This is the particular model that we will look at more closely. Let’s first mention the most important feature: this is a BBCOR-certified bat. This means that this is legal to use for high school and collegiate play. It also means that the barrel diameter is 2 5/8 inches and that the drop is -3. It’s available in 4 sizes with 1-inch increments, ranging from 31 inches in length (and 28 ounces in weight) to 34 inches (31 ounces). This is a hybrid construct so it has different materials for different parts of the bat. For the handle, you have 100% composite material that helps boost the power and the durability. For the barrel, it’s made of aluminum. More specifically, it’s made of the ST 7U1+ alloy. This is the aluminum alloy with a proven track record for providing you with the power you need from your bat. Its pop upon contact is terrific, so it feels like the baseball really takes off once you hit it. It’s also famous for its excellent durability. This is a 3-piece bat, but it’s a revolutionary 3-piece design with the LS TRU3 construction. Louisville uses a new elastomeric connection system located right between the between the barrel and the handle. This is a patented system exclusive to Louisville Slugger baseball (and if you want to verify it, it’s US Patent Number 8,226,505). What makes this elastomeric connection system so superior is that it offers independent movement between the handle and the barrel. It gives you that great feel upon contact, and it also controls the vibrations so you won’t have to worry about the potential for stinging your hands. This also features the brand new SBC end cap (Speed Ballistic Cap). What this does is to help boost the swing speed for greater power, while at the same time it also enables better control as you swing through the strike zone. An end cap is a small thing in a bat, but its effects on the bat’s performance is huge. This end cap allows for a longer barrel length, greater control through the hitting zone, and superior overall weight distribution. Then there’s the Lizard Skin grip. The Lizard Skin brand is the de facto standard when it comes to grips, ever since it was released as a grip for motorcycle handle. For bats. It’s downright terrific, and this is a custom version that’s specifically made for this bat. This gives you a “slightly” ended loaded feel that’s great for power hitters. “Slightly” here means that you still get the control you need so that you’re not swinging the bat blindly through the strike zone. Yet don’t forget that this comes with the highest swing weight score (at 3.0) in the entire Louisville 2018 lineup. There’s also no need for a break-in for this bat. Out of the wrapper, it performs as expected. This comes with a 1-year warranty. This is a standard warranty period with baseball bats. Upon seeing the list of features, the following benefits are quite evident. The movement in the connection and the barrel movement can really provide great power when you make contact. The fact that this end loaded bat has the greatest swing weight is crucial for power hitters. You have to understand the importance of this if you’re a parent who doesn’t know much about baseball. For power hitters, the emphasis is on hitting the baseball with as great a force as possible. That’s what you really get with is bat. It’s like being able to use a hammer to pound a nail, instead of an ordinary ruler. The alloy used for the bat barrel isn’t new, and that’s a good thing. That’s because it has already proven itself so you know for a fact that it will provide superior performance. This ST 7U1+ alloy can really give you the power and pop you want as a power hitter, plus it will last for a long while despite all the homeruns you will hit with this bat. While the swing weight is great, the fact remains that this is still a “slightly” end-loaded bat. The point here is that it may be endloaded, but it doesn’t mean you don’t have the control you need to put the baseball bat where you want it to go. This gives you the Holy Grail of bats—you have both power and control over the bat. This bat is designed to minimize the sting you feel when you make contact with the baseball. This isn’t just about making you feel comfortable because you won’t feel your hands stinging due to the vibrations. It’s about gaining the confidence in your swing because you know you’re not risking pain for your hands should you mishit the baseball. In baseball, confidence is one of the most important factors. That’s especially true for high school and collegiate players. Young adults perform according to how they feel, and if they don’t feel confident then won’t be as good. Even though this comes with a standard 1-year warranty, this is quite a durable bat. Don’t worry that it will fail you in the middle of the baseball season. It’ll last the entire season, and you can probably still take it out for 2019. There’s no break-in required for this 2018 Louisville Slugger Select 718 BBCOR. So you can get this bat in the middle of the season and you can use it immediately right out of the wrapper. It’s possible that its performance gets better after a month or so, but this may due to the fact that after a month you’re more familiar with your 718 bat. Of course, there’s also the obvious benefit that you know for a fact that this bat is allowed for your high school and college league. So don’t worry that you’re using an illegal bat (even though its performance may make you suspect that it’s too good to be legal). No real 2018 Louisville Slugger Select 718 review will neglect to point out the troubling issues with the bat. After all, if a review doesn’t mention the problems, it’s not really a review. While lots of users do attest that in their own reviews that there’s nothing wrong with this bat, there are some issues you have to address. The fact that it is endloaded and it comes with a great swing weight means that if you’re not a power hitter, this bat isn’t for you. The great swing weight requires strength and muscles, and if you’re a compact player this may be too unwieldy. There’s also the practical consideration of the price. This is a premium bat from Louisville Slugger, and so it commands a premium price. It’s expensive enough that some people can’t afford it, and it may not be a reasonable price for a bat if you’re just a casual player of the game. The movement in the connection between the handle and the barrel may lead some umpires to think that this is an illegal bat. If your umpire questions the legality of using the bat, shown them the BBCOR certification marks. Unfortunately, there may be some stubborn umpires that may not be convinced. The Louisville Slugger brand has remained atop of the baseball bat industry due to its insistence on producing only excellent bats, and this 718 doesn’t disappoint. It’s a true power hitter’s bat, and its design gives you the force you need to really hammer the baseball right out of the park. It offers you the confidence you need to make a swing, because you’re spared the risk of stinging hands that many batters hate. In addition, you don’t just get the power you need. You also get a lot of control over your bat. These are the features that make 2018 Louisville Slugger Select 718 BBCOR worth its price. If it weren’t for all the great brands this could have been the best BBCOR bat for 2018. 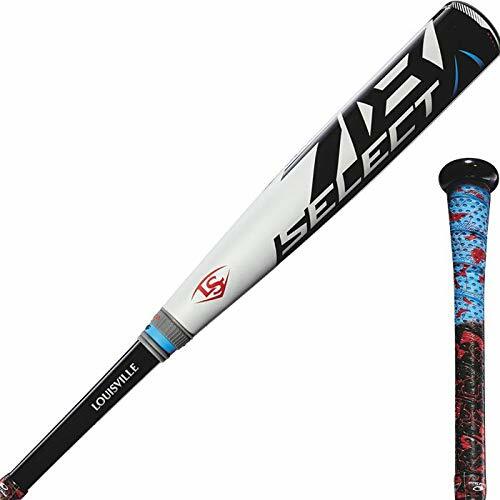 Want this 2018 Slugger 718 with Free shipping? 2018 Louisville Slugger Prime 918 BBCOR – Most Balanced Bat?